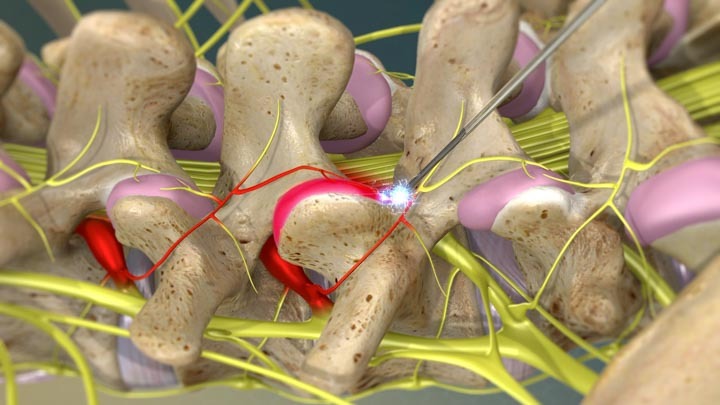 Radiofrequency ablation (RFA) is a minimally invasive procedure performed by Integrated Pain Consultants and Dr. Nikesh Seth to reduce low-back pain, neck pain, and pain related to the degeneration of joints from arthritis. An electrical current produced by a radio wave heats a small area of nerve tissue and during that process, decreases pain signals from that area. 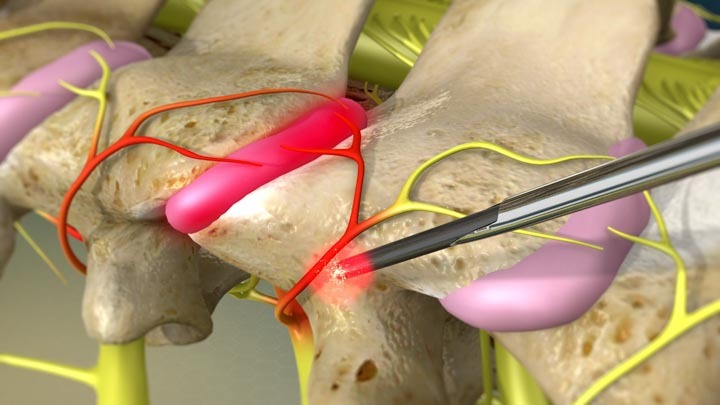 Radiofrequency ablation works by introducing an electrical current produced by a radio wave to an area of nerve tissue. The current heats up a small area of the nerve tissue which results in a lesion. This helps decrease pain signals from that specific area. Radiofrequency ablation is usually performed with local anesthetic and mild sedation and generally takes 30 minutes. If you’re seeking help for pain management, please contact one of Integrated Pain Consultants’ three offices to schedule a detailed evaluation – (480) 626-2552 or book your appointment online today. I would Highly recommend his office to everyone who suffers from constant back pain! Thank you for everything you do Dr. Seth! Intravenous sedation is recommended and the patient is monitored by an Anesthesiologist or Certified Registered Nurse Anesthetist. Your physician begins by cleaning the skin over the injection site and injecting a local anesthetic to numb your skin. Another needle is placed through the numb tissue under fluoroscopy – which is a live X-ray used to help guide the injection to the precise target location. When proper needle placement is confirmed, a small electrical current is sent through the needle to ensure it is near the target nerve. Pulsed radiofrequency ablation is performed in intervals of high voltage current of 20 milliseconds, at a temperature between 104 and 107.8 degrees Fahrenheit which weakens the membrane target area. The nerves are continuously numbed to minimize pain while the lesion is being created. This lesion disrupts the nerve’s ability to send pain signals. The process is repeated for additional nerves with a goal of destroying the nerves and the signals that are sent to the brain. When Radiofrequency Ablation is performed on the knee, the procedure is done via small needles around the knee capsule. Three needles are inserted around the outside of the knee near the genicular nerves. These nerves are then ablated to help decrease the pain from moderate to severe knee osteoarthritis. There is minimal recovery time and no incisions needed for long-term pain relief. 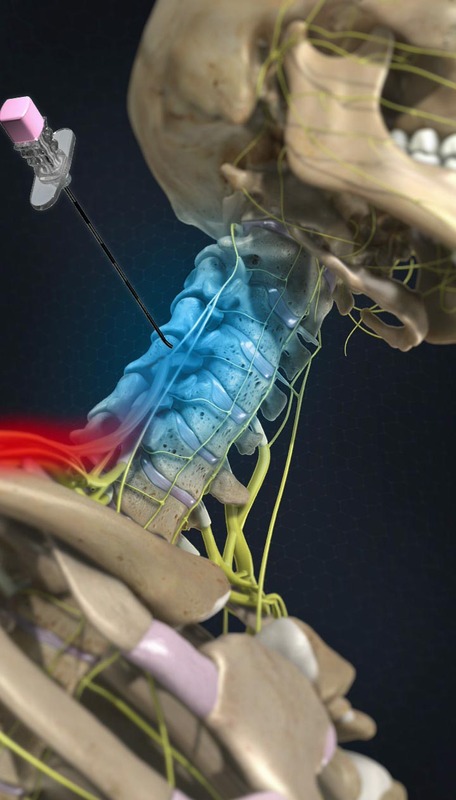 When Radiofrequency Ablation is performed on the back and neck, a small needle is placed near the medial branch nerve that innervates the targeted facet joint. Sensory and motor stimulation is done in order to confirm appropriate placement of the needle. After live fluoroscopic X-ray pictures are taken and appropriate stimulation patterns, thermal radiofrequency ablation is performed to cauterize the nerve. After the ablation has been performed, a local anesthetic and a steroid medication, unless not indicated, are injected to help aide in post-procedural pain. If you are suffering from chronic or acute pain and need relief from arthritis or other pain condition, please contact Integrated Pain Consultants and let’s talk about a pain management treatment plan that is right for you. With three offices open in Scottsdale, Mesa, and Phoenix, Arizona, learn why we are voted “Top Doc” by Phoenix Magazine and read reviews left by other patients of Dr. Nikesh Seth and his amazing team of physicians and providers. Learn more about pain conditions, pain treatment, and please schedule your appointment by calling (480) 626-2552 or book your appointment online today.